Here's where to watch every episode of The Magician season 1. Mouseover or tap an episode to see where to stream it. Click or tap the play icon to stream it on the best available service. The Manhunters Oct 2, 1973 Someone attempts to take the life of writer Max Pomeroy, Tony Blake's friend. Upon investigation, Tony discovers an illegal gambling operation that Max is about to testify against before a grand jury. Tony gains the friendship of a disgruntled casino operative named Diane Thompson, and uses it to penetrate the casino's veil of secrecy. Using his card and dice handling skills, Tony is able to clean up on the house, but he soon finds his own life is in danger. His investigation culminates in a wild ride on the top of a hijacked ambulance. The Vanishing Lady Oct 9, 1973 Magician Tony Blake discovers that Julie Carter, the singer who opens his stage illusion show in Las Vegas, has been kidnapped. Against her fiance's wishes, Tony gets involved in trying to rescue the girl, but his helicopter surveillance plan fails. Tony now finds time running out to locate and rescue Julie before the kidnappers kill her. Illusion in Terror Oct 23, 1973 Tony's girlfriend is apparently run down in a parking garage, but nobody will give him a straight answer as to which hospital the body was taken. When a mysterious uncle suddenly claims the body, Tony suspects something is awry. The investigation spells D-A-N-G-E-R when somebody tries to kill Tony by knocking him out and setting fire to the barn he's in. Lightning on A Dry Day Oct 30, 1973 When Tony makes his assistant vanish in a flash of fire during a charity performance at a mental hospital, one of the spectators (Star Wars' Mark Hamill) becomes hysterical. Tony learns that the boy was a witness to something horrible in a nearby small town. After traveling to the town, Tony discovers that the entire town is keeping a dark secret, and will do anything to keep it that way. Despite the aid of a sympathetic but intimidated town sheriff and his daughter, Tony finds that uncovering the secret the town is hiding is anything but easy. Ovation for Murder Nov 6, 1973 After rehearsing for a benefit performance at the Los Angeles County Fair, Tony Blake spots a man being pummeled by two assailants. After rescueing him in his Corvette, Tony discovers that the victim, Albie Allikolos, is a horse breeder whose horse was recently crippled by an unknown attacker. Attending an outdoor party thrown by Albie that evening, Tony sees Albie shoot a creditor after a heated argument. Tony suspects a frame up, and, in attempting to vindicate Albie, uncovers an elaborate criminal horse racing scheme and finds his own life endangered. Man on Fire Nov 20, 1973 A woman who begins laughing hysterically when her boyfriend Paul proposes to her falls down a staircase after he shakes her. Matt Matthews, a supposed friend, photographs Paul as he carries the body outside and convinces him that the police will never believe his version of what happened and that he should put the body into a trunk and dump it in the lake. Matthews then immediately proceeds to blackmail Paul. Tony Blake is involved when Paul's son, Danny, finds out what happens and attempts to help his father, only to be captured by the villains. Blake's investigation leads him to a rendezvous at an ornate, Gothic style inn where he must find his informant and outwit the blackmailers. Lady in A Trap Nov 27, 1973 Magician Anthony Blake is at the library to borrow a copy of a book on magic when a priceless Machiavelli manuscript is stolen. The thieves are caught but the manuscript is not recovered. The librarian takes the afternoon off to go boating off the coast of Malibu when her boyfriend shows her that he has the Machiavelli. She soon finds herself plunging to the ocean floor with a pair of weights chained to her ankles. Fortunately, Blake is scuba diving in the area and rescues her. Blake tracks down the boyfriend only to discover that he has been killed and the Machiavelli once again absconded. Blake finds the Machiavelli after being imprisoned in jail without charge and escaping. A secret message in the book points to the location of the buried loot at an abandoned winery. Tony makes his way to the winery but discovers that the villains are there to meet him. Tony must use every trick in his arsenal to escape from the crooks. The Man who Lost Himself Dec 11, 1973 Magician Anthony Blake is setting up for a fund raising performance outside a church when a man, chased by two pursuers, stumbles onto the stage, trips over a piece of the rigging, and causes a scaffolding to collapse. The next scene finds Tony and the man, who he later finds out is named George, in a hospital room, Tony with a few bruises and George with amnesia. When the pursuers find George at the hospital, Tony rescues him and brings him to his friend, Max Pomeroy. Showing him a few pictures, Tony and Max are able to jog George's memory about an acquaintance, racecar driver Tim Dunnagin, whom George immediately runs out to see. Dunnagin reminds George that they were involved in a robbery 30 years earlier and that $1.6 million worth of loot is still hidden. Only George will be able to remember where it is--if he is able to get his memory back--but Dunnagin can be ruthless as well as impatient. Nightmare in Steel Dec 18, 1973 A band of modern-day pirates is seeking to hijack a tanker ship for its $4 million worth of fuel. They have coerced a merchant seaman to help them by kidnapping his wife, who had just gotten a role as Tony Blake's stage assistant. Tony steals onto the ship to overhear the pirates' nefarious plans and to try to devise a way to rescue husband and wife. Shattered Image Jan 8, 1974 After a magic class Tony Blake teaches, A carnival performer comes up to tell Tony about a little girl in his care--she seems to be upset about something. Tony discovers that the girl's father is in hiding for committing a murder he claims he did not commit. Tony discovers that the crime was really committed by a man named Malone-- and Tony arranges a trap in his magic workshop to trick Malone into making a confession. The Illusion of the Curious Counterfeit (1) Jan 14, 1974 Tony Blake has taken up residency at The Castle, an exclusive club for magicians, when his old girlfriend Janet Keegan comes to visit--not to get back together with him, but because she is being pursued by two men and doesn't know why. Her father, Charles, who used to be involved in bootlegging and other shady activities, may be involved. Despite Tony's efforts to protect her, the men catch Janet and hold her hostage to keep her father from interfering with a planned robbery, and Tony must rescue her from the prison in which they are holding her. The Illusion of the Curious Counterfeit (2) Jan 21, 1974 Tony Blake fails to rescue Janet from the jail in which the kidnappers are holding her. Soon he finds himself caught between the kidnappers, who have put out a contract on Janet, and her own father, who thinks Tony's efforts to rescue her are actually interfering with her safe return. Tony eventually steals into the currency printing plant that the kidnappers have taken over and tries to devise a way to rescue Janet. The Illusion of the Stainless Steel Lady Jan 28, 1974 Irene Denore, a famous film actress of the silent era, is being held hostage in her own home by her ruthless business manager, Brad Nicholson, who is slowly bleeding her dry of her fortune. Meanwhile, reporter Victoria Hunter is trying to use Tony to get an exclusive interview with Irene. Tony is busy trying to uncover the true reason why the actress won't see anyone. The Illusion of the Queen's Gambit Feb 4, 1974 Tony Blake is doing a benefit performance on a casino boat when a robbery takes place. As far as the police are concerned, the prime suspect in the crime is Tony's friend, boat operator Ed Cassidy (played by William Shatner), but Tony sets out to prove him innocent. The Illusion of Black Gold Feb 11, 1974 Tony Blake stages a real life illusion--making it appear that a Alexander Polchek, a scientist from the Soviet Union, is killed so that he can be given a new identity. Thanks to a leak, however, a band of kidnappers is not fooled. They capture the scientist and hold an auction for his secret of extracting oil from shale rock.Californiamagic writes: This episode opens with what appears to be a well thought out assassination of a famous scientist at a public press conference..... But in reality Tony is helping to fake the doctor's death so that the doctor can go under an assumed name, and will no longer have to fear for his life. Why all the trouble? Because this doctor has the secret to extract oil from shale! But even with Tony's help, the bad guys figure out the doctor is not really dead, and kidnap him with plans to sell him to the highest bidder. 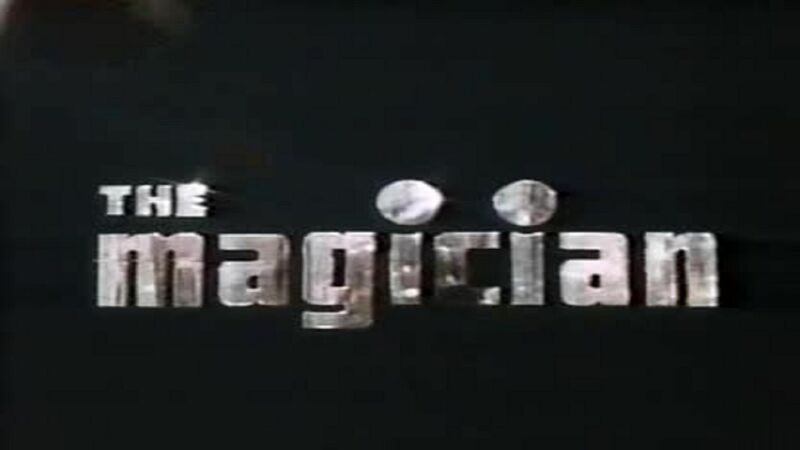 The Illusion of the Deadly Conglomerate Feb 25, 1974 In this episode, Tony is contacted by an old Magician Friend who is down on his luck, living out of a shelter. Apparently he is concerned about someone else who turned up missing from a local shelter, and asks for Tony's help. Tony investigates and soon finds things don't add up, and learns the gruesome details of what happens after staying at Reverend Wally's halfway house, just in time to save his magician friend from the same fate as the others before him. The Illusion of the Fatal Arrow Mar 4, 1974 Someone is going around killing people with, of all things, a bow & arrow. Stranger still, a psychic sees it all in her mind's eye...and has to tell someone. That someone is her good friend Tony Blake. After Tony verifies her visions, he decides to follow the trail and find out who is doing the killing, and why. The Illusion of the Lethal Playthings Mar 18, 1974 Tony finds out someone is trying to blackmail a friend, wealthy Jackson Wyndham, for $500,000. They have already broken into Wyndham's home, projected a bizarre puppet show in his private movie theatre, and booby-trapped his telephone with a bomb. After two close incidents, Tony becomes concerned for his friend and offers his help in finding out who is trying to blackmail him. The Illusion of the Evil Spikes Apr 15, 1974 Tony Blake is on the set of a movie watching his good magician friend perform the ""Spikes of Death"" escape when his friend is tragically killed. Tony is asked to perform the illusion for the still-unfinished picture since he is the only other magician who can do so. Tony agrees because he wants to help the owner of the movie studio and wishes to find out what went wrong with the escape when his friend was performing it in front of the cameras. Tony finds out the escape equipment had been tampered with by a studio stagehand who is trying to sabotage the making of the movie, so the movie studio will fail and have to sell the studio lot. But who is behind it all?